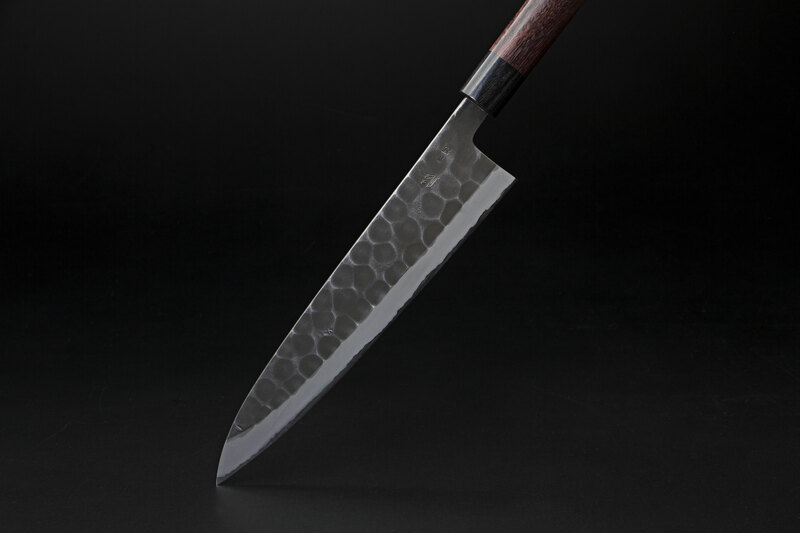 The combination of the reliable material of Aogami Super Steel and processing by the talented Sanjo-blacksmith Hinoura leads to an exceptional outcome. The technique of Tsuchime (hammering the blade) makes sure sliced food falls of the blade easily. Core: Aogami Super Steel, hardened to HRC64. Blade: Distal tapered, which leads to a better balance of the knife. Handle: Fine Ebony handle, which is premium quality and very dirt-resistant. Pakka wood ferrule bolster.